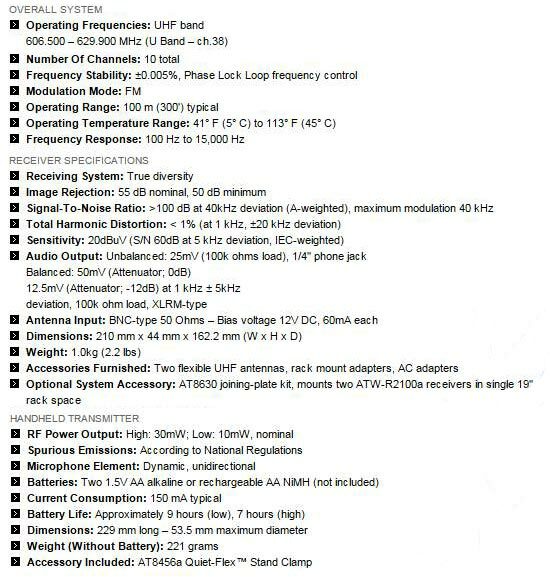 Up to 10 user selectable channels are available. 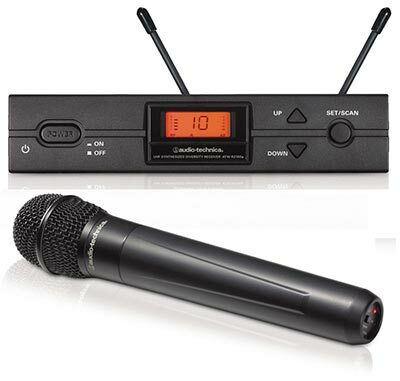 Audio Technica’s third generation of their well known and highly respected 2000 Series now offers increased RF power on both the handheld transmitter version here and beltpack transmitter version here for increased link stability. Charging contacts on the transmitters now allow easy operation with rechargeable batteries using the optional CHG-2 charger below. The all-new ATW-R2100B receiver benefits from the latest Audio Technica 1/2 wave antenna technology to maximise range. With this breakthrough series, Audio-Technica makes easy setup, automatic scanning and other advanced wireless features affordable as never before. 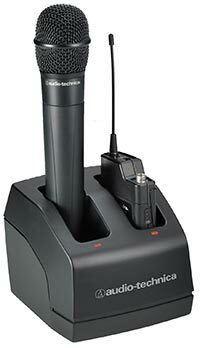 Automatic frequency scanning finds and sets the best available channel at the touch of a button. For those using multiple wireless systems simultaneously, the 2000B Series offers another ease-of-use feature: any of its 10 channels may be used together – eliminating confusing frequency groups and other frequency-coordinated problems.